Wednesday Week's first bassist Dave Provost has done so many things that it's impossible for us to authoritatively chronicle his career. Before joining Wednesday Week, Dave was the bassist in The Droogs, a legendary pre-punk punk band. 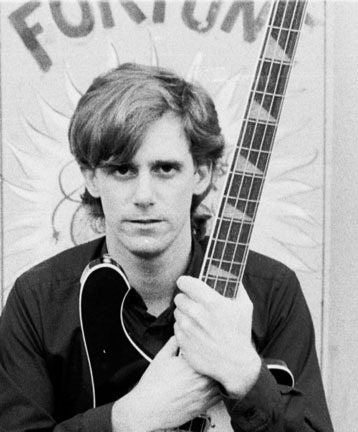 After departing Wednesday Week, Dave joined with Goat Deity alumnus Steve Wynn's band, The Dream Syndicate, replacing bassist Kendra Smith. Later he played with ex-True West guitarist Russ Tolman, as part of The Totem Poleman. More recently, he has played bass in the epic surf band Davie Allan and the Arrows. Photo by John Frank.